Health Insurance in the state of Iowa is attainable even if you don’t qualify for Medicaid or other public funded kinds of health insurance coverage. As health insurance coverage will always be one of the most important things to keep ourselves safe in case of emergencies, accidents, and incidents that occur with our individual health, it is important to understand the differences of health insurance Iowa plans. It may seem complicated if you are looking to purchase an Iowa health plan for yourself, your family or for your small business and this article is intended to give valid information for you to understand the basics. 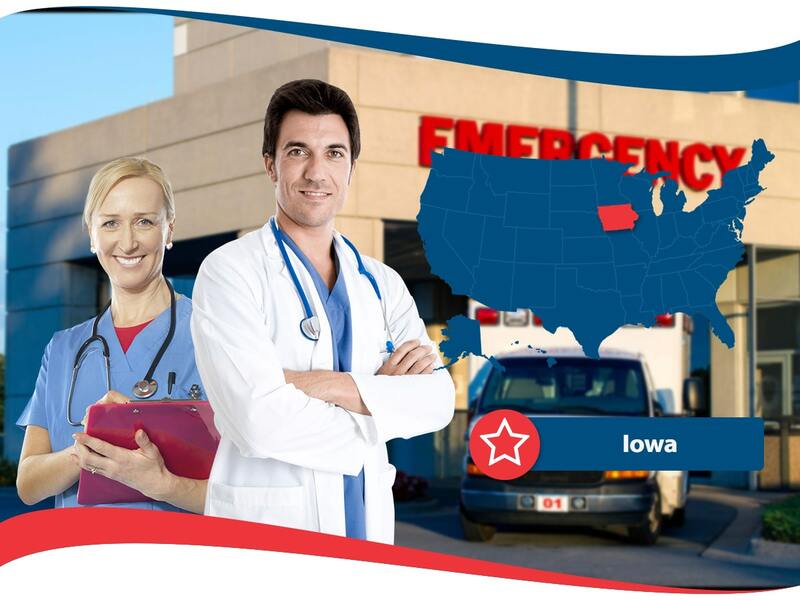 If you are looking to purchase health insurance in the state of Iowa the best way to go about it is to request quotes from several different companies that serves the state. Paying for medical expenses out of pocket is not only expensive but also not smart and by receiving a variety of medical insurance plan and cost information, you can make the best decision for your specific needs. Another important tip is to make sure you understand everything contained in the medical insurance policy contract and what the health plan includes. If you do not understand some of the information included, reach out to customer service representatives or qualified agents who are knowledgeable about Iowa State’s laws and regulations. These trained individuals can assist you in any questions you may have and pointing you in the right direction when it comes to your health insurance needs. If you are a student in the state of Iowa, there are many options for you. Some of these options are: Student Health Plan, School Sponsored Plan, and Stay on Parent’s Plan. The Student Health Plan covers full time students between the ages of 17 and 29. One of the conveniences of this plan is that the coverage will continue no matter what state in the United States you are in. However, you may have to pay your premium in one lump sum. It is not available in every state, so it is important that you know if you are covered if you plan on moving out of Iowa. The School Sponsored Plan means that some colleges offer health insurance plans to students. You need to check with your school to see if they have this option available to you. The Stay on Parent’s Plan allows fulltime students the possibility to remain on your parent’s health insurance plan. This may be a good option, as your parent’s will likely handle the cost. If you would like more information on health insurance coverage, American Insurance can assist you with your needs. Call or visit them on the web to learn more about your options in Iowa.